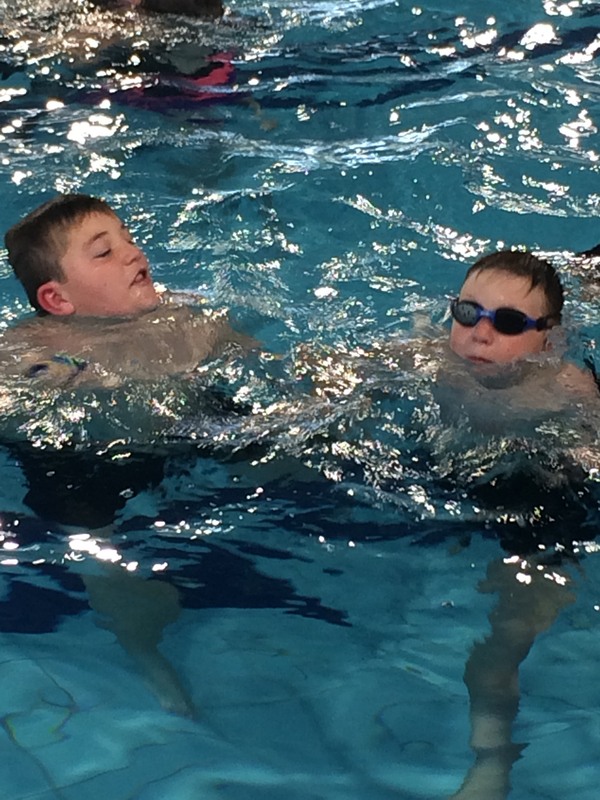 Year 7 students at Casebrook Intermediate, Christchurch participated in 2 weeks of swimming lessons which included the Water Skills for Life competencies. Each class were split into groups and were given 2 scenarios to assess their critical thinking and decision-making skills. Each scenario the students received included 5 Water Skills for Life competencies which were carried out in a continuous sequence. One of the scenarios took place in deep water and focused on treading water, personal buoyancy, life jackets and boat safety. The other in shallower water and incorporated submersion, propulsion, orientation, nonrigid rescues, and safety of the group. During the shallow water scenario, several children wore black out goggles to simulate vision impairment and encourage team work. A student at Casebrook Intermediate is legally blind so the blackout goggles enabled others to put themselves in his shoes for a moment. Those wearing blackout goggles felt “isolated, confused and disorientated” in the water. It became a valuable lesson as the group learnt to stay together and understand the importance of communication whilst ensuring their own safety and the safety of everybody in the group. A wonderful example of inclusion with all students in each class taking part no matter their ability.